I LOVE the library- always have. I think a big part of it is the trips I took there throughout my childhood. 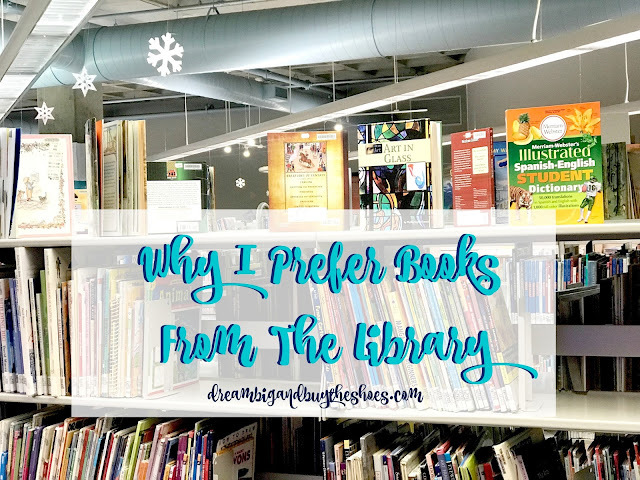 The library has been a calming escape for me during my life and I often prefer books from the library opposed to reading on my iPad or other device. I tend to gravitate towards library books because I love holding a book and feeling the pages, opposed to holding my iPad or a Kindle. The library is nostalgic for me and always brings back great memories of my Mom teaching us how to look for books and encouraging us to read all the time. The smell of a book is so cool and I love how all of that combined makes me feel. Sometimes I do opt for convenience and technology- like when I was in the hospital with Bella and placed holds for books via my online library account and Chuck picked them up for me. 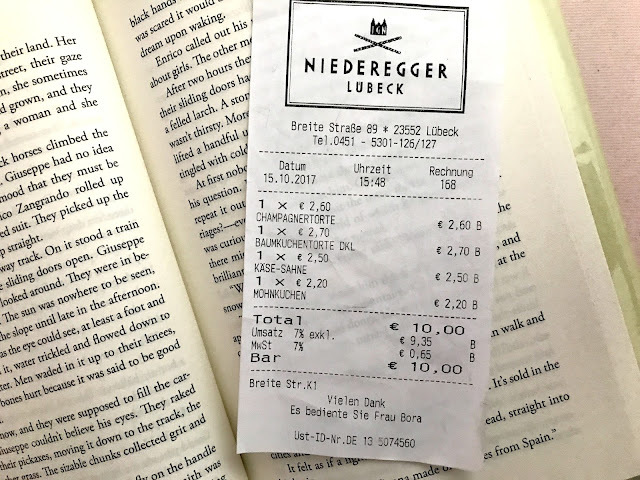 I was reading a book over Christmas and came to a page with a receipt in it that was in another language and was so intrigued. Buying a book at a bookstore or reading something on my iPad wouldn't have led me to this. My friend Elisa, Chuck and I looked at it and tried to determine what language it was in before Chuck looked it up on his phone. We discovered it was from a restaurant in Germany where they enjoyed some champagne ;) my kind of people! 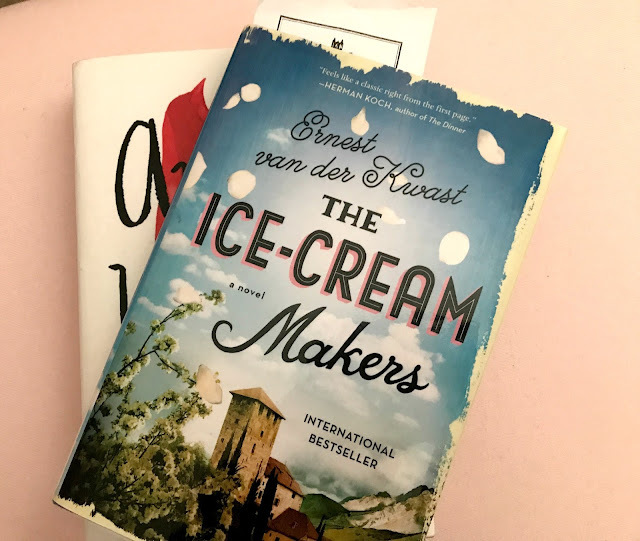 Thinking about who read the book before me and what type of person they are is very cool, and happens even more when something is left behind. Let's be real- another factor is cost. Library books are 100% FREE. I'm personally a huge fan of books that you can reference time and time again and won't ever knock someone for having a lot of books. There's not such a thing as too many- books are knowledge and something wonderful for your mind. I love children's books and Bella already has so many- but it's nice to pop by the library and pick up a cute Valentine's Day book to read and get in the spirit. Visiting the library and taking advantage of all it has to offer also draws me in. I was looking for a specific few books on my last visit and after I found them and was making my way to the check-out desk I spotted a table of books with some librarian's picks. One cover drew me in so I picked it up and read the back and when it mentioned where the book took place I immediately added it to my pile. I then wandered to the children's section of the library and read a poster about a Baby Bounce activity for babies 0-18 months where they read books, sing and interact with other little ones. This Winter it's been hard to find things to do with Bella that don't involve just wandering the aisles of Target- so we've been enjoying a trip to the library with other little babies lately. I will continue to read books through a variety of sources- but will always gravitate towards my love of the library. What about you- how do you prefer your books?